The Christmas Vigil Mass for Coachford takes place at 9.00pm on Tuesday. Don’t forget to submit your Christmas offerings. Our priests do a very important job all year. They care for the sick, the elderly, the lonely and the troubled people of our community. You may not be that religious, you may have a different religion or even none but you should acknowledge the huge amount of work our priests do for our community. 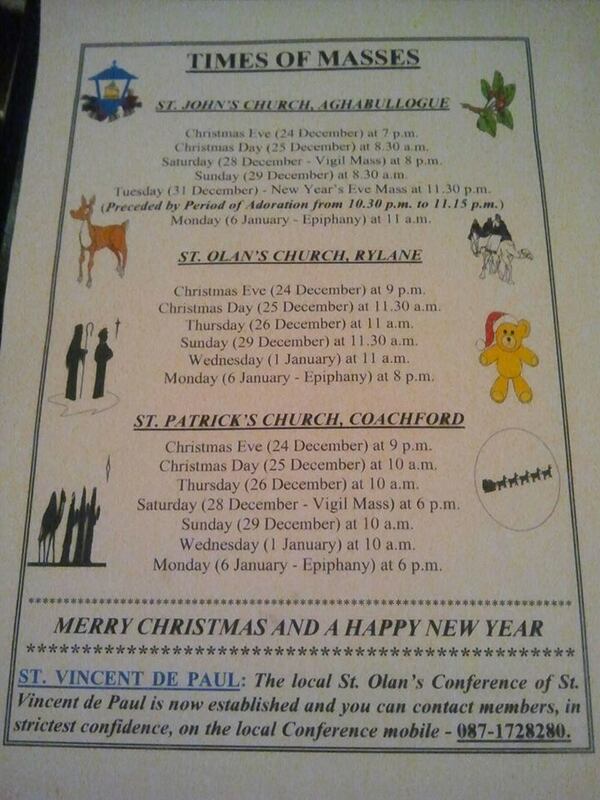 This entry was posted in Useful Numbers and tagged Christmas mass times, Coachford Mass times. Bookmark the permalink.